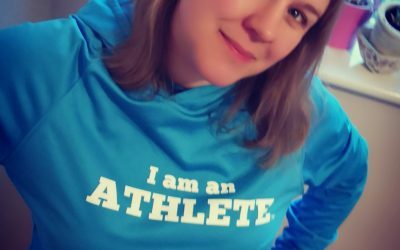 Now you all know we only ever feature fabulous plus sized runners in our runner of the month post, but this month we have really excelled bringing you an exclusive interview with the runner of the moment Sam Mollaghan from the fantastic #ThisGirlCan campaign from Sport England. We met briefly earlier this month at the screening of the new advert held at BAFTA no less, but we hit it off immediately, with Sam almost agreeing to run a marathon this spring with my help, we are now thinking about a 2016 one instead as Sam is pretty busy right now dealing withe the aftermath from her TV appearance. So Sam tell us a bit about yourself. Well I’m 44, a mum of 3 children George age 23 Asha 18 and Alfie who is 8 and I live in Bournemouth but grew up in Reading. I started running in August 2014 I tried a few pathetic attempts before that but always gave up. Lots of people I know were running and I wanted to be a part of their running “gang” but always thought that’s just not for me and I’m not good enough. I don’t know why I started running I just did and after doing that first 5k parkrun and finishing albeit slow I just wanted more. How did you end up on our TVs? I got involved with the Thisgirlcan campaign after running my 3rd ever parkrun at Brockwell Park in London. I got chatting to a street caster after my run. On the results page I was actually registered last and I find that quite amusing! I was buzzing as I’d just got a PB. Following meeting him I was invited to a casting/audition and it was there that I first met the director of the advert Kim Gehrig. The rest is history however I had to be approved by Sport England. I didn’t have an agent I was just myself! Filming day was rather exciting. In fact it was an amazing experience.There were vans ,lorries cameras, people everywhere. I rather liked the catering van! However spent most of my time in the makeup and wardrobe chatting and waiting in there. How did it feel seeing yourself on the box? When I saw the advert for the very first time I cried. I cried because I was proud and because what it represents resonates with how I feel about myself. I was shocked when I saw my cellulite as I really didn’t believe that I had that much. As I have said I really don’t think about what I look like when I’m running as I’m too busy focusing on the job in hand. The cellulite did bother me however it became ok as that is what the advert is about. Putting those fears of judgement aside and doing my thing regardless. The campaign has been received really well right? I have been overwhelmed by the response. I didn’t really know what to expect but I certainly didn’t expect the reaction that the advert has had. I feel so proud to be a part of this. My husband is extremely proud of me and encouraging. I think me being involved has had a profound effect on my daughter. She was at the launch and after the main showing of the advert she just came over crying and was hugging me saying how proud she is. I think she was blown away by what she heard and saw that day. I must say I was too. My mum keeps texting saying anytime she sees the ad or reads an article she wants to cry. I am hoping they are tears of happiness and not oh god what has she gone and done now! I run 5k most Saturdays at parkrun at Kings Park Bournemouth and also train on Tuesdays with a local beginners running group when I can get there. I’ve been so busy since before Christmas. 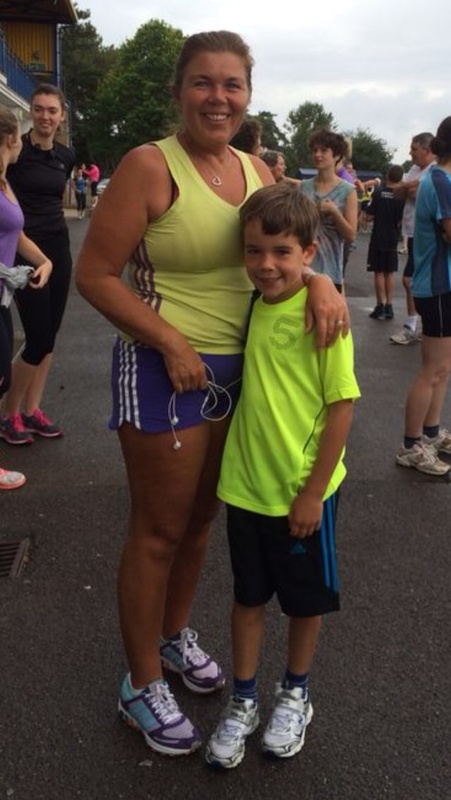 I did my first race in October 2014 as part of the Bournemouth Marathon festival. I ran the 5k speed of light which was at 7pm on the Saturday evening. You get given a flashing armband loads of people get dressed up. It looks amazing with loads of people running and all the flashing lights especially as its dusk. Have you had any negative comments out running? I don’t think I’ve had any negative experiences whilst running. Only the negative dialogue that goes on in my head but I change it from “I can’t do it, this is so hard, to I can…each step you are closer ” etc etc. 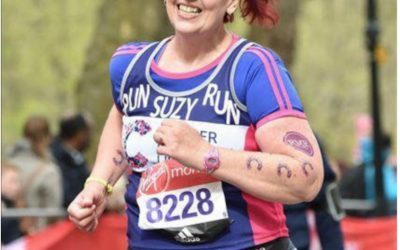 My biggest fear about being a plus size runner used to be what do other people think of me and they may laugh etc but being involved in the campaign has empowered me enough to think, you know what don’t worry just go and have a go..
What do you hope to achieve with your running? 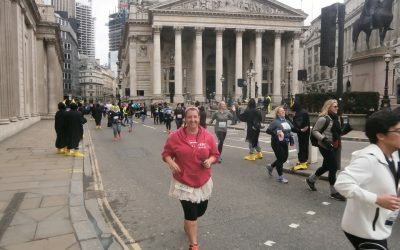 My ultimate running goal would be to run the London Marathon and when I was at the launch and you mentioned I almost said yes, yes I can do that. It’s me that’s stops from achieving that. 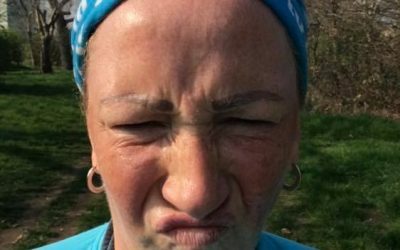 I struggle to get round 5k and so I think about how much effort and time and training etc it would take. It’s on my mind a lot since the launch and since speaking to the chief executive of the London Marathon. What is your message for anyone starting out? 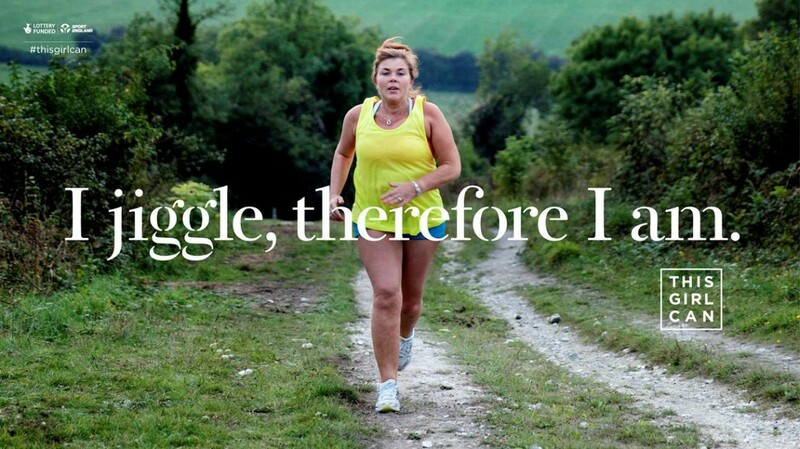 My message to overweight ladies is go for it! Get out there, have fun. The feeling I get when I’ve finished is brilliant and I just want more. I feel energised and my self confidence has rocketed.Don’t take yourself too seriously. 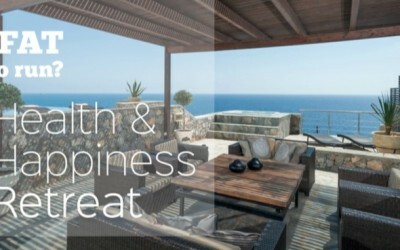 You may end up feeling amazing! Much as I love Sam, her parkrun times have depressed me. I never get any faster!!! It’s so great to see a girl my size and age running! You are great and you look fabulous, Sam! You are not alone – I am jiggling all over Southwestern Pennsylvania. I love this campaign too!! Thanks Patti! Nice to know of others nearby! Just nothing like this in Indiana except the stigma of a plus sized girl trying to run. Love this advert! I so wish we had stuff like this in the states. 🙁 Feeling alone.